Painter and teacher Ben Levene was born in London. His 'prodigious' artistic talents were spotted by the artist Carel Weight when Levene was still a schoolboy. From a modest background, he won a scholarship to the Slade School of Fine Art (1956-61), where he studied under William Coldstream. He was awarded the University of London postgraduateship in 1960-61 and then a Boise scholarship in 1961-62, which enbabled him to live and work in Spain, accompanied by his first wife, Jane Fogarty, and their daughter Rachel. 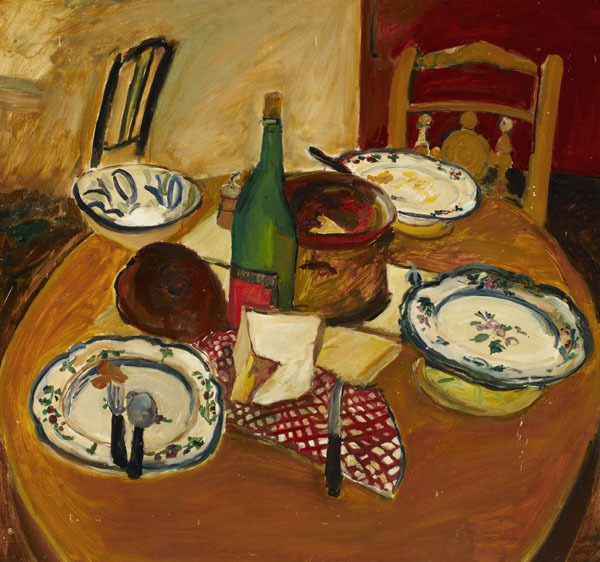 He exhibited from 1959 onwards at Helen Lessore's Beaux Arts Gallery, the Royal Academy, the London Group and abroad. In 1969 he shared an exhibition with Olwyn Bowey at the New Grafton Galley and had four one-man shows at the Thackeray Gallery between 1973 and 1981 and three exhibitions at Browse & Darby in 1988, 1993 and 2001. He taught part-time at Camberwell (1963-89), was elected an associate of the Royal Academy in 1975 and a royal academician in 1986. He served as curator of the Royal Academy schools between 1995 and 1998. His paintings are characteristically rich in colour and embrace both landscape and still life.